Most truck driving schools do not have a formal graduation ceremony, and therefore no highly valued persons are brought in to do commencement speeches for the graduates. I remember there were four of us in my truck driving school that graduated together and we sat together giving “high fives” all around while we got handed our training certificates from the school's owner. It was still fun and exciting, but there were no proud onlookers applauding our accomplishment, and once we had spent five or ten minutes together it was all over with. We started calling each other “Driver” instead of using our proper names, because somewhere in our training we were told that we might as well get used to being addressed as “Driver” now that we were entering the truck driving field. We had no idea how much we still had to learn, but it felt like we had really accomplished something monumental. It kind of felt good to be calling each other “Driver.” It made us feel like we had really accomplished our goal. With those thoughts in mind, I want to share with you the commencement speech that I would give, were anyone to ever ask me to share my thoughts with their graduating truck driving students. Congratulations! You have done well. You made it through a fast and furious course in which you accomplished something that a lot of people consider doing, yet few follow through with. You have obtained your Commercial Driver's License. Again, let me congratulate you on getting that shiny new piece of plastic in your pocket. It holds the key that can unlock a world of opportunities for you. It is like a magical card that gives you access to jobs that others do not have access to, and those jobs are readily available and worthy applicants are in high demand. This will also be a day of reckoning for some of you. There will be some tough decisions ahead that will need to be made. Those decisions may not be what is on your mind right now. For most of you at this juncture, you're concerns are centered around what company to start with, or maybe what rate of pay you want to get started with. I realize that this day seems extraordinarily monumental, but it will quickly prove to be inconsequential for most of you. Without trying to diminish your accomplishment, I want to encourage you to keep yourselves focused on the challenges that lie ahead. What you have done so far is to make some progress in an endeavor that is highly misunderstood and underestimated by most who attempt it. The statistics of success at trucking are quite daunting. Out of my truck driving school graduating class, I am the only one who went on to have a career in trucking. Not one of my fellow students lasted even three months as a professional driver. And out of my first trucking orientation class (approximately 65 people) roughly fifteen percent of us ended up with a job, and only about three of us lasted for one year at that job. I am not trying to scare you or discourage you, in fact I hope to help you reach your goals. I am a very happy and successful truck driver. I love this job. It would take wild horses to drag me away from it. I wake up every day excited to see where my adventures will take me and look forward to accomplishing my goals and objectives. You see, I am a very goal-oriented person. If something gets in my way it is considered a foe to be vanquished. I am a warrior out here in a solemn battle. I am an American Road Warrior, and I will conquer every foe that gets in my way. That is the attitude and the spirit you will need to embrace to be successful out here. There are many things that cause people to fail at this career, and most of it is because they were totally unprepared for what they were up against. I want you to be ready for action. I want to see each of you accomplish his mission. I want to see you become successful Road Warriors, conquering and navigating the many road blocks that sidetrack the multitudes and going on to be prosperous and happy in your pursuit of this rewarding career. Obtaining your CDL is a wonderful accomplishment, but it is not the key to success. It is a key to opportunity. Opportunity is before you, but you must be able to seize upon it. You must be able to make it happen. You will not be handed anything in this career. Each step along the way is won with diligence and determination. Remember the determination you put into obtaining your CDL? Now multiply that by several times and keep up the pressure on the things that seem to hinder your progress. Set yourself like steel, and arm yourself with a resolve and persistence that will not be denied. Do not let the naysayers influence your determination or your decisions. They are the weak ones who completely underestimated what it takes to succeed in this career. They have nothing of value to give to you, and they should be shunned at the very least. They are like a plague on your trucking career and they can be found at every juncture. They enjoy bringing people down with them because it is a lonely place at the bottom, and misery loves company. Hold your heads high as you enter this career. You are a greatly needed commodity in the world of commerce. Without you everything grinds to a halt. You are the oil in the cogs that keep things moving along smoothly. You have the potential to be a highly respected person in my opinion, and you will find that while there are many who misunderstand the value of a good truck driver, there will be those within your chosen company who will treat you like a king. It surprises me at times how people whom I have never even met seem to know who I am at my company. I will occasionally get a call from someone and they will comment on how valuable I am to the operation as they are requesting something of me, yet I have never had any interaction with that person before. I have even had one of the executives of my company request a meeting with me. I would never have had the opportunity to meet that person had he not initiated it. Remember this one critical thing about respect. It is not given just because you have your CDL. Respect is earned, and those who can face the challenges of this career and come off like victorious warriors are the ones who will command that respect. Trucking is and always will be a performance based endeavor. That is why you want to be a top performer out here. Those are the guys and gals who do well at this. Those are the chosen ones who get all the special privileges and unusually favorable treatment. They are not shown favoritism without good reason. On the contrary, they have put for the the effort and produced the results that won them favor and respect. They get things done, and they get those things done with little or no bother to their managers. They don't need to have their hands held, and they do not take up the valuable time of their managers with unnecessary questions. If they see a snake they kill it. (I'm using an analogy here) They take action, they get results. They don't need to have a meeting to decide what to do with the snake! They take care of their own business. They are the “real deal.” They don't fake anything, they get right down in the middle of the action and take care of their business. Make every attempt at being a results oriented truck driver as you pursue this career. We are fond of saying “there is no faking it in trucking.” Remember that phrase, and pursue this career with that foremost in your mind. Your managers will quickly recognize a person who understands the concepts that make for success in this career. What Makes A Driver Valuable? There are some truck drivers who just slog their way through out here and they are painfully obvious to their fleet managers, who are constantly trying to keep them focused and profitable. Then there are the successful ones who seldom need any guidance and are constantly getting more done than their peers. There is a seemingly unfair phenomenon in trucking that new drivers do not comprehend. You'll find that the best drivers get the most freight. This phenomenon is enjoyed by the Top Tier Drivers, the ones who have a track record of getting things accomplished. They keep getting more work piled on their plate, and therefore more money in their paychecks. Why is this perceived inequity so prevalent in the trucking industry? Because reliably productive and efficient drivers are highly valued. Their managers will do whatever they can to keep them on board. Keeping these drivers busy and racking up those nice paychecks works wonders for employee retention. It is one of the harsh realities of trucking. The people you see whining and complaining in trucker's forums are those folks we mentioned earlier. They have found their results to be lacking and they are now struggling with their careers. They have become the folks who are lonely at the bottom, and their only hope is to drag others down with them so it is not such a lonely place. I want to see you reach the pinnacles of success out here. I want to see you progress and develop yourselves into highly sought after professionals who stand out above the crowd. You hold the key to that success. 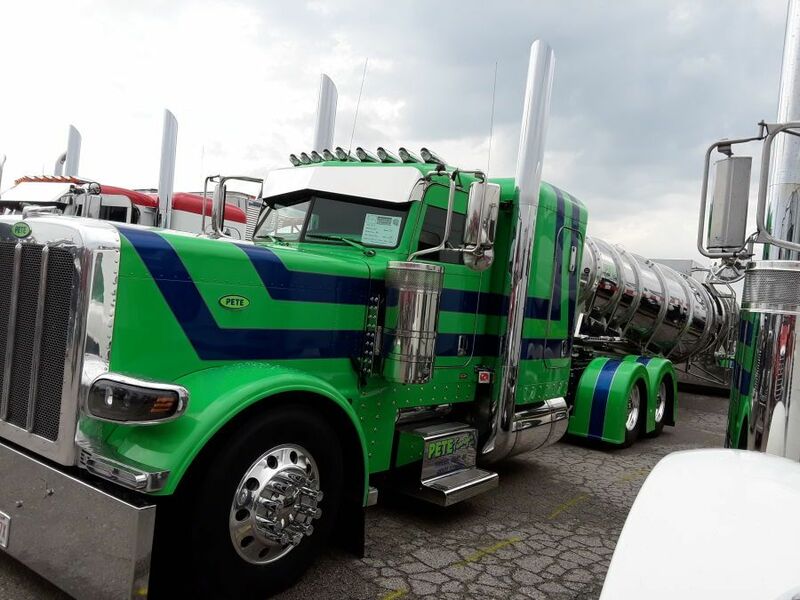 That new CDL in your wallet means a lot, but only in the sense that it will grant you opportunities, and open up a few doors into this career. Once a door opens, you are on your own. You need to have a proper understanding of how to proceed and advance your career. You need to have the determination and the willingness to put forth the extraordinary effort that equates to success in this field. There are challenges that lie ahead, and there are people who will face them down successfully. Will you be one of those highly valued members of the trucking community who never backs down and finds themselves thriving and enjoying a career that so many have fallen short at? I know that you can do this, and I hope you can lay hold of some of the enthusiasm with which I share these ideas with you. Remember, many of these ideas will be foreign to most of the truck drivers you encounter. If you embrace them and hold them close as you pursue this career, you will put yourself onto a trajectory that eludes hundreds of thousands of wannabe truck drivers. My dispatcher once told me that maybe two or three out of every fifteen drivers ever lay hold of the concepts of success out here. He then went on to say that those other twelve or thirteen are the ones he has to work overtime with just to keep them focused on what they should be accomplishing. The two or three that he never has to worry about get all the best loads and the best treatment simply because they are never a bother to him and he knows that they will make it happen no matter what he assigns them. Strive to be that two or three out of fifteen and you will be well on your way to success out here. Enjoy your careers, and I wish you every success as you move forward in your pursuit of excellence!